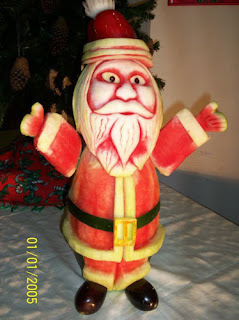 I remember going to the candy show a few years ago and one of the booths had a Watermelon Carver there. 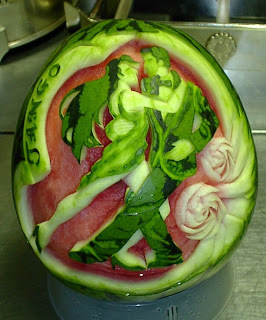 He was making the most interesting and beautiful flowers carved from watermelon. I have to admit, I did stay at that booth a little longer than normal, but I have no idea what candy the booth was actually promoting. 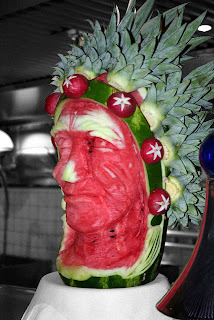 Since then, I have been utterly in awe of some of the watermelon carvings that I have seen around the web. 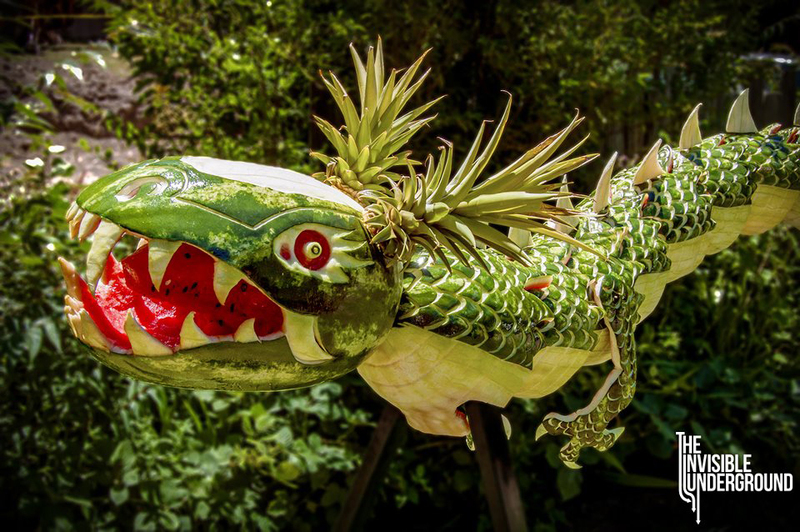 With Mini Me's birthday just around the corner, I wish that I had the skills to try some of these amazing projects. 1. 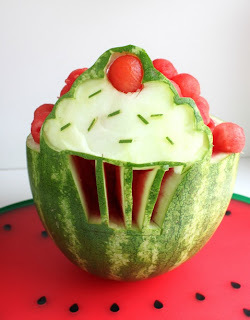 Cupcake Watermelon Carving by Created by Diane. 2. 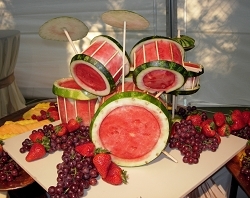 Drum Set Watermelon Carving by Food Stylin with David Leathers. 3. 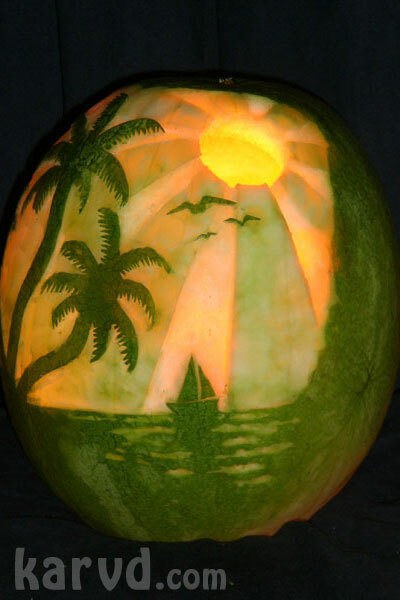 Sunset Watermelon Carving by Karvd. 6. Soccer ball Watermelon Carving by Garnish Food. 7. 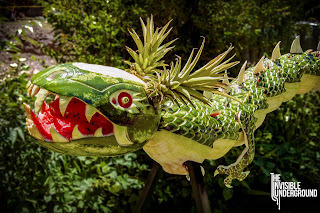 Dragon Watermelon Carving by The Invisible Underground. 8. 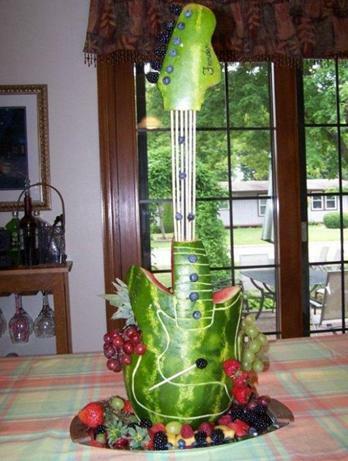 Guitar Watermelon Carving from What About Watermelon? 9. Indian Watermelon Carving by Greyloch on flickr. 10. 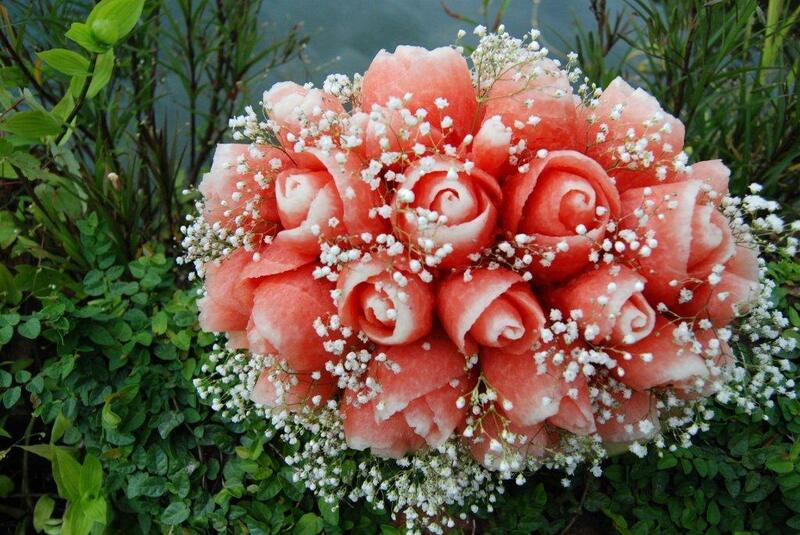 Bouquet of Roses Watermeon Carving from Love Round and Round. Okay, so seriously? That dragon and those roses? So. Awesome. Have you seen a watermelon carving that you have been impressed with? While I'm dreaming, what do you think I should try for Mini Me's birthday?